“The three main causes of vision impairment in adults were uncorrected refractive error, cataract and diabetic retinopathy. On the positive side, the report indicates that more Indigenous Australians are accessing eye health services provided through specific service programs. The report finds that in 2014-15 more Indigenous Australians received an eye examination than in the previous twelve months; that the gap in accessing cataract surgery compared to non-Indigenous Australians is narrowing; and the rate of blindness for Indigenous Australians has decreased from 1.9 per cent in 2008 to 0.3 per cent in 2016. Eye diseases and vision problems are common long-term health conditions experienced by Aboriginal and Torres Strait Islander people and the Minister for Indigenous Health, Ken Wyatt, today welcomed the release of a report that looks at the effectiveness of national eye health programs. Launching the Indigenous Eye Health Measures 2016 report, released by the Australian Institute of Health and Welfare (AIHW), Minister Wyatt said that one-third of Aboriginal and Torres Strait Islander people reported one or more long-term eye conditions in 2016. “This report is important because from here we can build an evidence base for monitoring changes in Indigenous eye health, and identify service delivery gaps at the regional level,” Minister Wyatt said. This first national report on the Indigenous eye health measures compiles data from a range of sources and presents findings at the national, state and regional levels. In 2016 the prevalence of bilateral vision impairment for Indigenous Australians aged 40 and over was 10.5% and the prevalence of bilateral blindness was 0.3% (both affecting an estimated 18,300 Indigenous Australians aged 40 and over). The 3 leading causes of vision impairment for older Indigenous adults were refractive error (63%), cataract (20%) and diabetic retinopathy (5.5%). Repeated untreated trachoma infections are a cause of vision loss in some remote Indigenous communities, but the prevalence of active trachoma in children aged 5–9 in at-risk communities fell from 14% in 2009 to 4.6% in 2015. The age-standardised proportion of Indigenous Australians who had had an eye examination by an eye-care professional in the preceding 12 months increased from 13% in 2005–06 to 15% in 2014–15. There were 6,404 hospitalisations (4.5 per 1,000) of Indigenous Australians for eye procedures in the two year period 2013—15. Between 2005–07 and 2013–15 the age-standardised Indigenous hospitalisation rate for cataract surgery increased by over 40% from 4,918 to 7,052 per 1,000,000. In 2014–15, the median waiting time for elective cataract surgery was 142 days for Indigenous Australians, with 3.4% of Indigenous Australians who waited for more than 1 year for cataract surgery. Hospitalisation rates for cataract surgery were higher for Indigenous Australians in Remote and Very remote areas combined, while waiting times were longest in Inner regional areas. The number of occasions of service for Indigenous patients under the Visiting Optometrists Scheme (VOS) almost tripled between 2009–10 and 2014–15 rising from 6,975 to 18,890. Indigenous Australians suffered from vision impairment or blindness at 3 times the rate of non-Indigenous Australians, based on age-standardised rates. In 2014–15, a lower proportion of Indigenous Australians (15%) had had an eye examination by an optometrist or ophthalmologist in the preceding 12 months compared with non-Indigenous Australians (20%), based on age-standardised rates. Indigenous Australians had a lower age-standardised rate of hospitalisations for eye diseases compared with non-Indigenous Australians (10 and 13 per 1,000, respectively), but 3 times the rate for injuries to the eye (1.3 and 0.4 per 1,000, respectively). Indigenous Australians also had a lower age-standardised rate of hospitalisations for cataract surgery than non-Indigenous Australians (7,044 and 8,415 per 1,000,000, respectively). In 2014–15, the median waiting time in days for those who had elective cataract surgery was longer for Indigenous Australians (142) than for non-Indigenous Australians (84). “We now have a very valuable source of data we can use to improve eye health through better detection, management and treatment of eye disease in Aboriginal and Torres Strait Islander communities,” Minister Wyatt said. 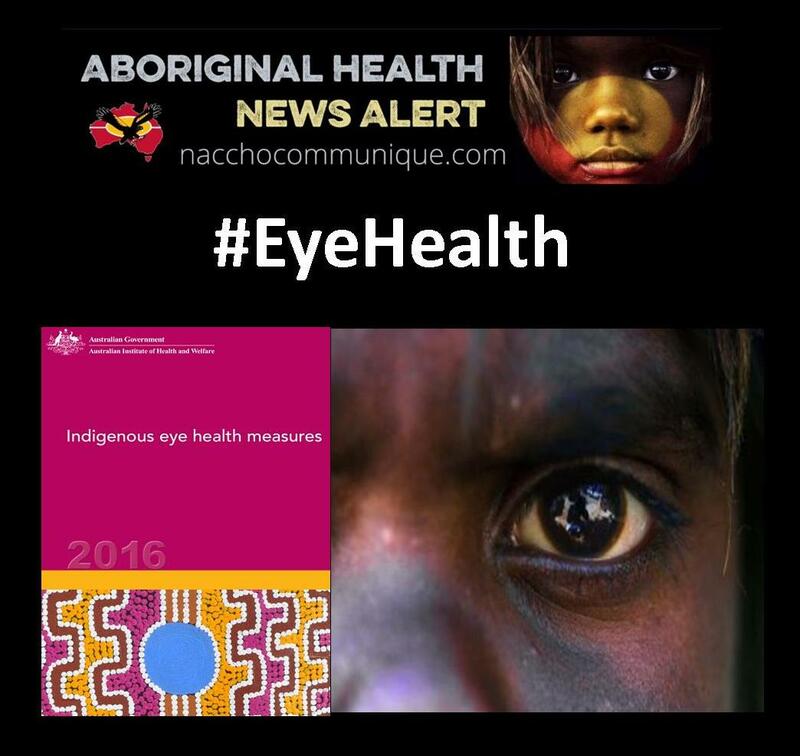 The Indigenous Eye Health Measures report is the first national report on the Indigenous eye health measures. It brings together comprehensive data from a range of sources and presents this information at the national, state and regional level. The Australian Government is investing around $72 million over 2013-14 to 2020-21 to improve eye health for Indigenous Australians.